Diabon® plate-and-frame heat exchangers are used for highly corrosive media, combining high-efficiency heat transfer benefits with the exceptional corrosion resistance of graphite material. Diabon plate heat exchangers are the ideal solution for processes in which metallic plates with low corrosion resistance cannot live up to service life requirements, and where the heat transfer efficiency of heat exchangers that use materials such as glass and Teflon® is unacceptably low. Compared to other solutions, such as graphite blocks, Diabon provides the additional benefits of reduced fouling and full access to the heat transfer surface. Diabon is a dense, synthetic resin-impregnated high quality graphite with a fine and evenly distributed pore structure, and can be used with corrosive media up to 390°F. 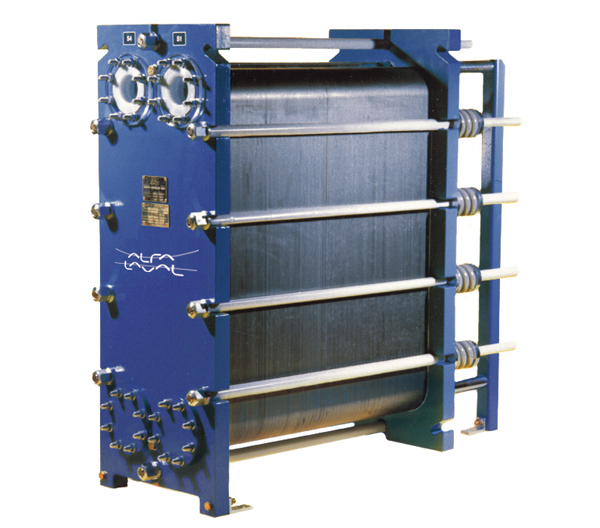 Diabon plate heat exchangers work on the same principle as conventional plate heat exchangers, except that the plates separating the media are made of special graphite materials. The graphite plates are available in three different material grades, DIABON F100, NS1 or NS2. The channels formed when these graphite plates are assembled in a plate pack are sealed by PTFE gaskets. F100 plates are suitable for operations where fouling can be a problem as well as for oxidizing environments. 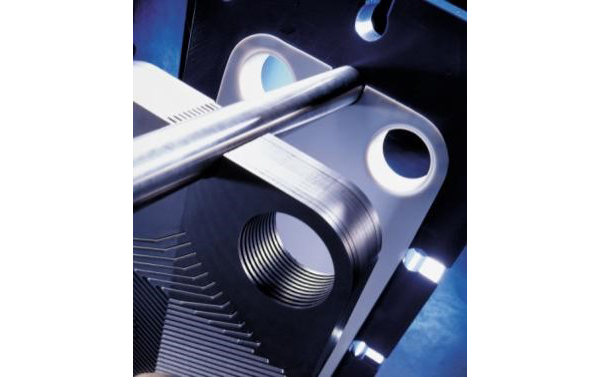 NS1/NS2 plates are suitable for 2 phase applications and/or duties with higher variations in temperature. The tightening bolts on the frame are fitted with springs to compensate for thermal expansion of the plate pack, hence minimizing the risk of cracking the plates. 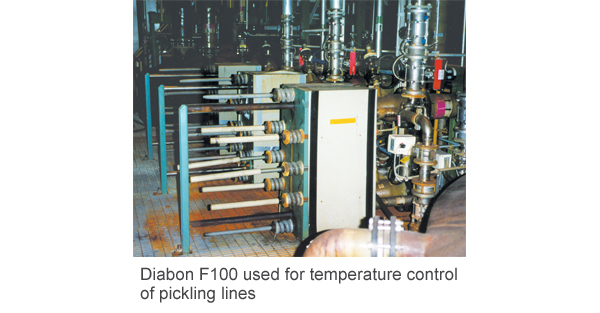 Diabon plate heat exchangers are all supplied with a PTFE rope gasket. When the heat exchanger is assembled, this gasket rope is flattened to a very thin film approx. 0.008 in). The thinness of the gasket means that the area in contact with the chemical is very limited, resulting in an extremely long service life. To date, the gasket has proved resistant to attack by all known chemicals, as well as resisting very high temperatures (>356°F). In addition, the gasket can be kept in storage for virtually unlimited periods. 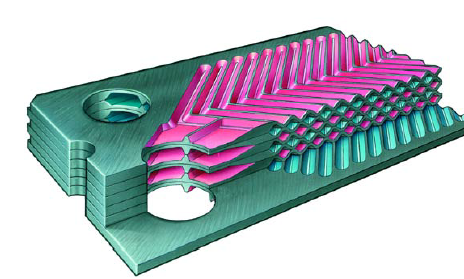 Plate heat exchangers have an essential role in most applications. If they function poorly, they may lead to lower product quality, reduced safety and higher energy costs. And if they fail, they can lead to costly downtime and major losses in production. This makes it important to perform maintenance – and important to do it correctly.